After a marathon sentencing hearing, Larry Nassar wants a do-over. Nassar is the former Michigan State University sports doctor who sexually assaulted his patients for years. Nassar wants to be resentenced – but first, he wants a new judge. More than 100 victims of Nassar gave impact statements during his 7-day sentencing hearing in January. During that time, Judge Rosemarie Aquilina made supportive statements to each victim that spoke. When it came time to sentence Nassar, Aquilina told him she was sorry she couldn’t impose cruel and unusual punishment on Nassar. A liberal advocacy group says the state Attorney General has improperly used his office for political activity for close to a decade. Progress Michigan released more emails today that it got from a lawsuit against Bill Schuette. One of the emails shows that Schuette may have used a state office building for a meeting about the then upcoming Republican National Convention. Others are sent between employees and political allies during 9 to 5 hours on weekdays. The Michigan Supreme Court won’t decide if a controversial practice by the Grand Rapids Police Department is constitutional. But it did make a decision that advocates say could improve police relations in the future. The court declined to decide if police can stop someone and then take their fingerprints and photograph them if the person doesn’t have ID. It kicked that question back to a lower court. 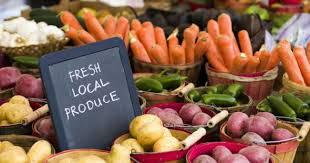 Some Michigan farmers and farmers markets might not be able to accept SNAP benefits soon. That’s because the federal government ended its contract with a transaction service about 50 Michigan farmers markets in Michigan use to process food stamps payments. Michigan school districts can ban guns on school grounds. Ann Arbor and Clio school districts have policies that prohibit firearms on school property unless the person has a concealed pistol license. 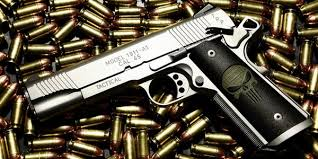 Pro-gun advocacy groups and some parents of kids at those schools filed lawsuits. They said state law prevents these types of policies. The court says state lawmakers could prevent school districts from banning guns on their school grounds – but they haven’t. With more communities battling chemicals in their water, Democratic lawmakers say it’s time to hold hearings on PFAS. Those are compounds in a family of chemicals that could be harmful to people’s health. A city in Kalamazoo county can’t drink its water right now – and it’s not the first community in Michigan plagued by PFAS. Democrats say it’s up to the state to fix this emerging crisis. Democratic Representative Winnie Brinks says the hearings are necessary, in part, to educate lawmakers about this new chemical. The Board of State Canvassers has delayed a vote on a pair of ballot initiatives – over a timing issue. A meeting got contentious today. That’s because a group opposing proposals to increase the minimum wage and require earned sick time, said the board had to wait one more day to vote. 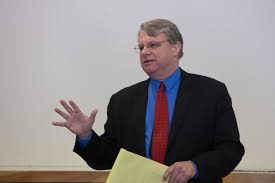 Mark Brewer is an attorney for both of the initiatives. He said the opposition is using stall tactics to keep the proposal off the ballot. 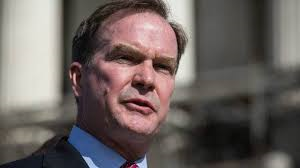 Attorney General Bill Schuette says the state’s Civil Rights Commission cannot consider discrimination complaints for sexual orientation or gender identity. Last May the commission adopted a policy that would have allowed LGBTQ people to file such complaints. Details of a proposed settlement between Michigan State University and survivors of Larry Nassar have come to light. 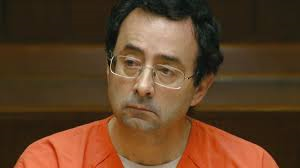 Nassar is the former M-S-U sports doctor who will likely spend the rest of his life in prison for sexually assaulting his patients. A condition of the settlement has upset some state lawmakers. More than 300 survivors of Larry Nassar would receive about a half a (b) billion dollars if the settlement goes through. 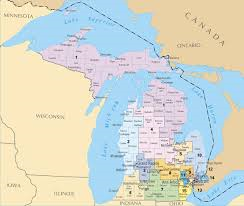 Whether a measure to overhaul how Michigan draws its political lines goes on the November ballot will be decided by the Michigan Supreme Court. The court heard arguments about the case today. The measure would create a commission made up of Republicans, Democrats and Independents. That commission would then draw the state’s political district lines. At the hearing, opponents argued the measure would change too much of the constitution and change the powers of Michigan’s government.